Alexandria, VA (November 29, 2018) – The American Council on the Teaching of Foreign Languages (ACTFL), the premier organization dedicated to the improvement and expansion of the teaching and learning of all languages at all levels of instruction, announced today that it has appointed Howard R. (Howie) Berman, MA, CAE as its Executive Director. Founded in 1967, ACTFL’s mission is to provide vision, leadership and support for quality teaching and learning of languages. It represents the professional interests of more than 12,500 language educators and administrators from elementary through graduate education, as well as government and industry. 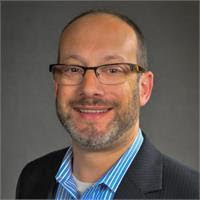 In his new role as Executive Director, Howie will be responsible for growing the reputation, influence, and membership of this professional association, as well as overseeing the implementation of all policies and actions approved by the ACTFL Board of Directors. As ACTFL’s chief staff leader, he is also responsible for the execution and administration of services, programs, products and operations of the association. Howie’s undergraduate and graduate studies in Spanish and Middle Eastern Studies in combination with his extensive association experience, including more than 17 years of association management for several professional organizations have prepared him optimally for his new position as Executive Director of ACTFL. Howie has served as the Chief Operating Officer (COO) of ACTFL for the past three years, and previously had served as its Director of Membership and Administration. Headquartered in Alexandria, Virginia, ACTFL’s mission is to provide vision, leadership and support for quality teaching and learning of languages. It represents the professional interests of more than 12,500 language educators and administrators from elementary through graduate education, as well as government and industry. The American Council on the Teaching of Foreign Languages (ACTFL) is the national association for language education professionals from all levels of instruction and representing all languages. With more than 12,500 active members, ACTFL provides innovative professional development opportunities like its renowned Annual Convention & World Languages Expo, acclaimed training and certification programs, widely-recognized and accepted language assessments, and highly cited books, publications, scholarly journals, research studies and language education resources, including Foreign Language Annals and The Language Educator magazine. As part of its mission and vision, the organization provides guidance to the profession and to the general public regarding issues, policies, and best practices related to the teaching and learning of languages and cultures. ACTFL is a leading national voice among language educators and administrators and is guided by a responsibility to set standards and expectations that will result in high quality language programs.